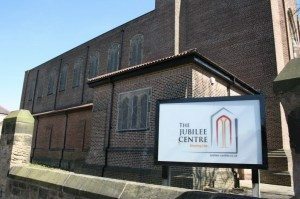 Jubilee Church Wirral is a growing family-friendly evangelical church meeting in Wallasey in the heart of Wirral. Having purchased the former All-Saints church building in 2013, we have undertaken significant refurbishment work in order to make the building fit for purpose. We are part of Christ Central within the Newfrontiers family of churches, in the North West and were planted into the Wirral from Jubilee Church Liverpool. Our vision is to see a thriving church which reaches out to the local community and effects it. We are passionate about following Jesus in this day and generation and are looking to serve him in all we do. We believe strongly in community and we have a number of home groups which meet during the week to share life with each other, pray and study God’s word together.